According to medical science, when there is frequent pressure on the skin, the area that is subject to the pressure can lead to Calluses. For example, the fingers of a Violinist or Guitarist can be affected by a Callus because his fingers are subject to repeated friction or pressure. Of course, Callus is quite annoying, but there are callus removers that can help you to get the remedy. 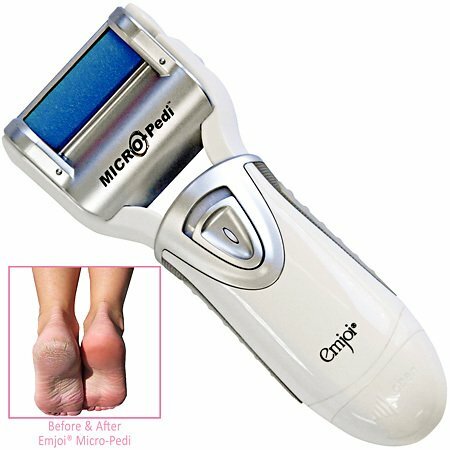 You should understand how to use a callus remover and with that you will be able to get a quick remedy. According to medical experts, normally callusis formed on foot because it is subject to frequent pressure and friction. People who use high-heeled sandals are prone to experience the discomfort caused by a Callus because of continued pressure on the foot. Once you are affected by a Callus, there are two alternatives; the first being applying callus remover and the second is to get medical assistance to physically remove the dead skin. The callus removers are available in three different formats namely topical application, a mechanical device also called as shaverand an electronic exfoliation procedure. Now to understand how to use a callus remover, read on. Topical application: The topical application is available in two formats namely liquid and gel. The topical application varies from brand to brand. Therefore, before you use the application, you must carefully go through the instruction printed on the box. As a matter of general procedure, you must soak the affected area in warm water for about five minutes and dry the skin thoroughly with a towel. The liquid or gel should be applied only on the affected area and not on the surrounding skin. After applying, allow the medicine to remain on the affected area for about five minutes. Depending on the brand, you may have to repeat this procedure as per the instructions given on the box. Do not apply the gel or liquid on broken skin or on the face or groin. Generally, topical application is not recommended on warts as well. Mechanical device: The mechanical device is similar to a shaver. In the first place, you must ensure the shaver you are using is of very good quality. In the first place,add few drops or soap or body wash to warm water and soak the affected area for about five minutes. Now gently run this exclusively designed shaver over the affected area. Repeat the exercise until the Callus is completely removed. This procedure is not suggested for people who are diabetic. Electronic exfoliation: This is a battery operated device, which consists of an exclusively designed hard plastic roller. All you have to do is soak the affected area in warm water for five minutes and dry thoroughly. Now, switch on the battery and run the roller gently on the affected area. Repeat this procedure three to four times. With that it would be possible to get rid of the Callus. As physicians point out, in the first place, you must understand how to use a callus remover and with that it would be possible to get substantial relief from the discomfort.